FrenchEntrée > Guides to Buying your French Property > French Law > One Will or Two? Is my English Will valid in France, or must I have a French Will as well? 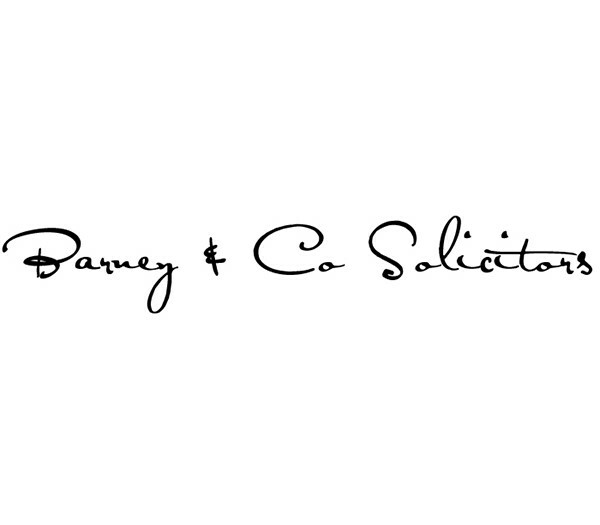 Most solicitors confronted by a client with overseas property, will usually advise them to make a foreign Will to cover their foreign assets. They will deliver this one-size-fits-all advice in the hope that they have ‘dodged’ a potentially tricky problem, avoided a myriad of difficult questions and in the process given their client ‘safe’ advice. However, in some jurisdictions and in certain circumstances, having a ‘local’ Will can cause more problems than it solves, particularly if the English and (in this case) French Wills are not drafted to work together. Whether or not you need a local will depends on your specific circumstances and a competent advisor would have to ‘quiz’ you on the nature, value and location of all of your assets, as well as your family structure and circumstances, not to mention your future plans, to be able to properly advise you. It follows that this article can only deal with the issue of whether an English Will is valid in France and the generic advantages and disadvantages of having more than one Will. The following broadly assumes the simplest scenario – that of an English domiciled person owning a property in France – although the principles of will validity apply in all cases. The legal issues ‘in play’ here are whether the will is formally valid, and if so, whether it is also essentially valid? But what does that mean? Formal validity concerns the formalities that must be observed in a particular jurisdiction to make a valid will. For example, formal validity in England & Wales is governed by section 9 of the Wills Act 1837 (together with a barrage of case law interpreting the legislation) which dictates who can draw up a will, how it should be drawn up, and how it should be properly executed. These formalities must be carefully observed for the will to be valid under English law. The difficulty is that each country, and sometimes each religion or region within a country, has its own rules on what an individual must do to make a valid will. However, the Hague Convention of 5th October 1961 greatly simplified the process for many jurisdictions, providing that if a will is drafted in a foreign jurisdiction, then as long as it complies with the formal requirements of validity for a will in that jurisdiction, it may be recognised elsewhere. I say ‘may’ be recognised elsewhere because the Hague Convention has not been universally adopted and – to further complicate matters – although many countries have not adopted the Hague Convention, they have incorporated its principles into their domestic law. Happily France is a country that recognises the Hague Convention which means that, as long as an English Will is formally valid in England, the document will also be formally valid in France. As many readers will be aware however, in contrast to the more or less complete testamentary freedom enjoyed in England, the laws of France do not allow the testator (the person making the will) to give their property to whomever they wish. Instead a set of fixed rules usually determines who gets what on the death of the testator, with only a portion of the testator’s estate set aside which can be left under a will. These rules which protect the testator’s children and parents, together with rules to protect the spouse, are known in England colloquially and collectively as the French ‘forced heirship’ rules. The point is, even if the will is formally valid, if the gifts made in the will conflict with the forced heirship rules, then the French rules will take precedence over the will. This potential conflict between what the will seeks to give away and what the French laws allow to be given away is known as ‘essential validity’. Put simply, the ‘essence’, or core of the will is valid if it does not conflict with the French rules, but it is invalid if there is a conflict. So for example, most clients ask me to draft their wills so that everything goes to their spouse on the first death, and then everything equally to their children on the second death. Clearly, if they have French property then their will would be essentially invalid, because the will does not have the power to override the French provisions which prevent the testator from ‘cutting-out’ their children, parents and spouse. To be absolutely clear, the problems do not arise because they have an English will (the same would be true if they had a French will) but rather because the provisions in the will are incompatible with the French forced heirship rules. All is not lost though, because your English (or French) Will, will be valid to the extent it can be used in conjunction with the forced heirship rules. 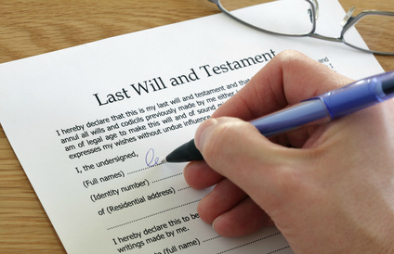 So if the will gives ‘everything to my spouse on my death’, then all of the portion of the deceased’s estate that is available under the French rules to pass under a Will, will pass to the spouse. Put another way, the fact that the gift is essentially invalid doesn’t necessarily make the whole gift fail, only that part which conflicts with the French rules. A specialist cross-border Will writer will be mindful of these issues when drafting the Will which means (depending on the testator’s circumstances and wishes) it may be possible to structure the Will to eliminate much of the ambiguity and deliver as close as possible an outcome to that wished for by the testator, while at the same time complying with the forced heirship provisions. In any event it is good practice to draft a will in such a way that it can be easily understood by French legal practitioners and in such a way that it is easy to integrate with the French forced heirship rules. Having established that an English Will can be valid in France, and that a French Will is subject to the same essential validity limitations as an English will, are there any benefits in having a French Will as well as an English Will? The principal benefit – and the reason most often quoted – is the simplification of the administration of the testator’s estate after his or her death, which can save time and/or money. However, assuming it is necessary to obtain an English grant of probate, the only extra work required if there is only an English will, is that the grant together with the death certificate must be translated and legalised and sent to the French notaire dealing with the matter, so this is not an altogether persuasive reason for having a French Will as well and an English one. More compelling is a scenario where the testator has a complex estate and/or complex family circumstances, because in these situations there may be provisions under French law that can be implemented in conjunction with a French Will to deliver an outcome closer to that desired by the testator. Against having a second French Will is the danger that, either the two wills contradict each other, or one inadvertently revokes the other. Before you start thinking this is a very remote possibility, it does happen, particularly in cases where a testator seeks to ‘buy’ the cheapest Will. Although France is not one of the jurisdictions where having two properly drafted Wills is a problem, your legal practitioner should consider whether in your specific circumstances it is necessary to have a local Will. Although it is a moot point, a growing body of cross-border specialists believe that for most clients a local will is not necessary and a single English Will, properly drafted to account for French assets, should be the default position. Those who adopt this position believe that only if individual circumstances dictate should a second, separate will be drafted to cover the French assets. Dan Harris is a solicitor working for Stone King LLP and one of a few cross-border specialists holding the Society of Trusts and Estates Practitioners advanced certificate in International Succession and Planning. I am domiciled in England. My wife and I own a holiday home in France which we bought 10 years ago and own jointly in indivision. I understand this to mean that on the first death the property passes to the survivor, but I am not 100% sure about this. We are aged 72 and 63, both retired, and ideally plan to sell the property before either of us dies, to avoid our children having the problem of disposing of it (none of them are interested in keeping it). The matter is complicated by the fact that we are both second spouses, each of us having children by previous marriages but having no joint offspring. This would mean, I think, that on the second death only the blood offspring of the deceased can inherit and not the stepchildren – is this correct? In the event of one or both of us dying before the property is sold, what options do we have to try to ensure the children get equal shares in our French property, as would be the case in the UK if we made wills to that effect? Can this be addressed under Reg. 650/2012, by making the election to which you refer, or is there some other way round the problem? Clearly the best option is to avoid dying before disposing of the property, but now is not a good time to be selling!